Hello and Welcome to Speakbd. Setting menu> Posts and comments > Show at most? posts. Once a number of total posts in our website exceeds this number, we are going to see "Older Posts" and " Newer Posts" Navigation links in our home page and archive pages footer as blogger does not have any built-in operate on page listing. However, number rather than older and new posts links might facilitate our website visits to navigate faster (Jump to the page or Post that the user needs to seek out on to your web site. After adding all the above codes save your template to deploy the changes. Done! 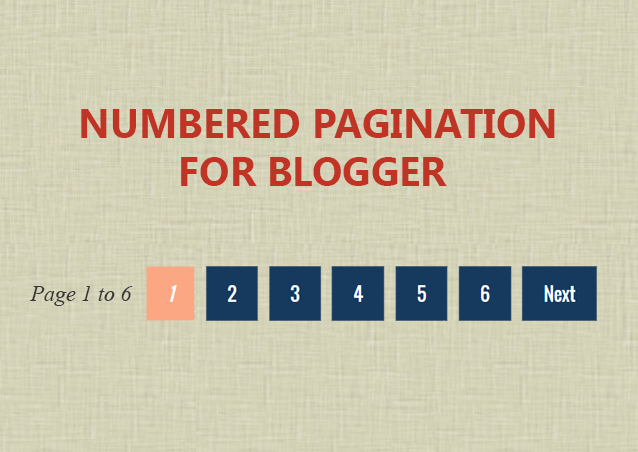 Now preview your blog and see the numbered pagination in action. perPage: how many posts will be shown in each page (i.e. 7). This value has to be the same as the number of posts on the main page. Otherwise, add the same number by going to "Settings" > "Formatting" and type it in the "Show at most" field, then click on the "Save Settings" button. numPages: how many pages will be shown in the page navigation (6). To replace the 'First', 'Last', "« Previous" and "Next »" texts, just type your own within the quotes. data:label.url with data:label.url + "?&max-results=7"
The '7' in This Code Above means That a page will show 3 posts ( On each) Page. you may change That number you Want. 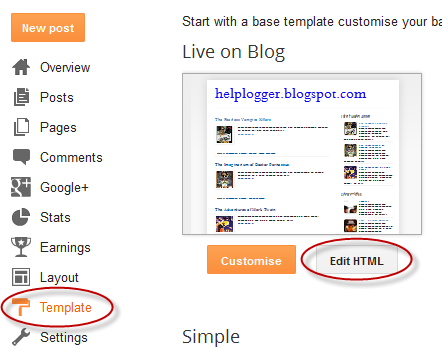 But We recommend to Make the Posts Same as how many the first page of your Blog Show the post. And lower is Better. If you got stuck anywhere following the tutorial, please post your query in the comments – I’ll try best to figure it out for you. The real estate business is one kind of business that consists of real property. The property consisting of land and the buildings on it, along with it would natural resources like crops, minerals or water. The business of real estate professionals of buying, selling, or renting land, building or housing is known as the real estate business. Now a day’s we can find this business everywhere like United States, England, Canada, Australia as well as India and Bangladesh. At present, it is so competitions business in the world market place. It is also called the brutal business. The game never stops anytime, anyplace for anyone. If you are a slow property owner in this market, you can’t gain success in this real market place. Bellow I had given some ideas those inspire you when you are down and out. That’s means to lift you up when you feel like you are failing. Personally, I also used these ideas whenever my goals seem too far away from me. I am totally sure you will promote your real estate business. One of the best ways to promote your real estate business is to have written online. It is a great way to build up your website. Most of the population in the world is online every day. That’s means a substantial percentage of your customer's research things online. Simple content is the most effective way to get your information in front of those internet browsers. Here is a simple content idealist. Video tour of a local neighborhood. Three photographs of a neighborhood. Photographs and video tour comparing schools in the area. # 2 Call past clients. It is another way to promote your real estate business. If you call your past clients, they will help your different ways because they will take you seriously. So it will help you to promote your real estate business. # 3 Take a new market. Pick a location you haven’t been in a long time. This works obviously helps you if you have never been before. Here you can find some new ideas that you help to take the new target. Now stay there as much as possible and watch people. Watch what they do. Watch what they say. Watch what they are carrying around. You can make short conversations with them that will help to promote your real estate business. Finally, go home and write. After finishing your conversations, you have to come back to your home. It will surprise you how many people exist in the world they have no idea about your business. Now you can write ways to full fill your target market. It is another step for promoting your real estate business. Pop boys is a method of gifts. By this system, you can give a reward to past clients or people. It will help you to promote your real estate business. # 5 Choose a coffee shop. Pick a busy coffee shop and sit down. Different people come and go out in the coffee shop you can introduce with them and make a short conversation it will help to promote your real property. Using the Facebook group is a good way to promote your real estate business. Clients would be able to post in the group and help others through the selling and buying process. # 7 Build up trust. As a real estate agent, you need to build trust with your clients. If you share a blog post, write an article and offer free information to help your clients. They will bring to trust you. It will help to promote your real estate business. 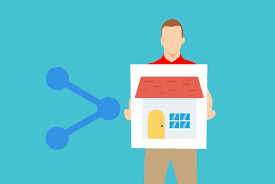 Without the above steps, you can use other steps to promote your real estate business such as...reach out to educators, contact local business owners, reach out to an agent working elsewhere, upload video in Facebook. To sum up the above discussion, it is noted that all the ideas will be so useful to promote your real estate business in the world business platform. So, if you want to promote your real estate business sectors you can follow those steps that are will helpful for your property business. With the innovation of new technology products, everyone is becoming a videographer and cinematographer. Again, the opportunity for professionals to create video and video records is even easier and fresh. There are some very small cameras used to capture various types of action scenes, known as action cams. Not only is it small in size, but it can also be used for video in any type of weather and underwater. Although smaller in size, these cameras capable of recording high-quality video. Grape can be called precursor in the formation and quality of this type of camera. Shortly after marketing these cameras, many Hollywood movies were widely used. 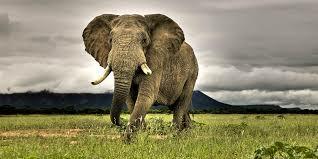 Gradually, the popularity of the general public all over the world has also been there. Improving the quality of the camera, making it suitable for all weather conditions, image stabilization, new features are available in every new version. These cameras are also unique, not just videos, but also for taking still pictures. The reason for the popularity of these cameras is that it is small but high-quality video capture, but the price is very small compared to the professional cameras. There are also several other brands of action cameras, including Xiaomi Abe Yi brand cameras are quite popular. It is possible to take professional quality video through DSLR or Action cameras. Even sometimes the video is recorded through mobile but it does not have the ability to distinguish it from other high-quality videos. Glimmers have made these tasks even easier, the Gimbal is not just used with small cameras but they were first made to use with professional quality cameras. Glimmers are an instrument where different types of cameras can be attached and it is automatically steady when holding the video. Not only that, the techniques of professional video can be easily used. Zombies are different for an action cam, mobile, and DSLR. The cameras attached to the camera are also available. 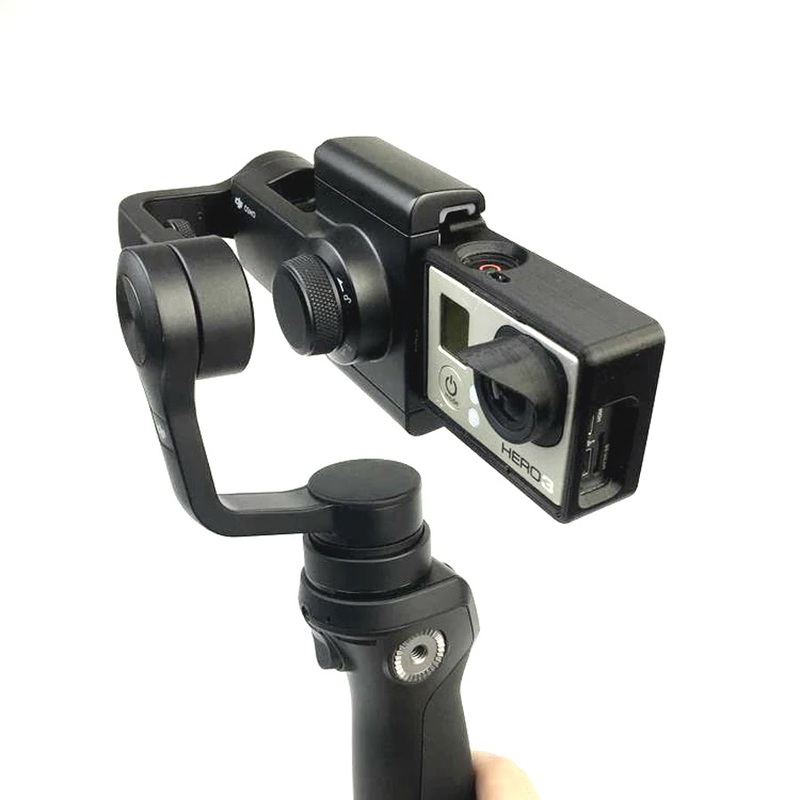 DJI and Zhuyin Gimbal are ahead of the other Gimbal of the market, in terms of quality and popularity. Recently, the DGI Asomo Pocket, a new camel, has been released without scintillation, which is the smallest of the current zombies. 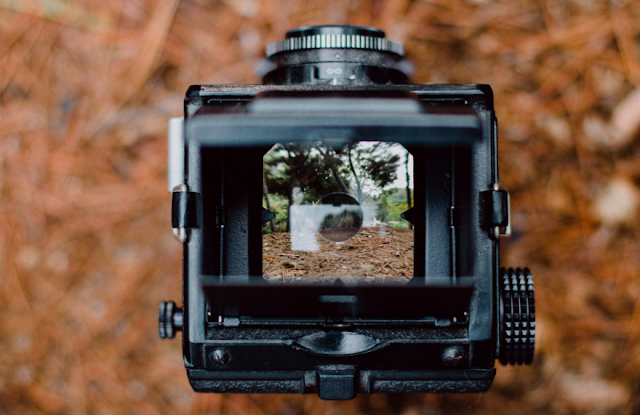 This pocket-sized snapshot is just like any other motion picture and it is possible to have high-quality video available through an attached and connected camera. Drone Photography has taken this high level of video and still image quality. Not only is it high in the quality of the film, but instead of taking photos through drone means looking at birds in the sky above the sky. The general definition of drones is, go to the sky without human beings. Although initially used in military service, it is now under common use. Low-quality high-quality Cameron drones have gained popularity in a very short time. Everyone likes to see from a different perspective than one of the common sights. DJI is the most popular for professional and general users. Various prices and special features-containing several models of drones can be found in this brand. In spite of the availability and value of the property, there are special rules for drowning in the country. There is a possibility of interrupting the law enforcement agencies by buying drones in the hobby and starting using video. 45 days before the drone flying permission should be obtained from the Civil Aviation Authority. After applying in the prescribed form, the Civil Aviation Authority authorized the defense ministry to allow them to be verified. On page 5, where the drone will be available, details of the size of the drone, who will be able to load, security, etc. are to be mentioned. 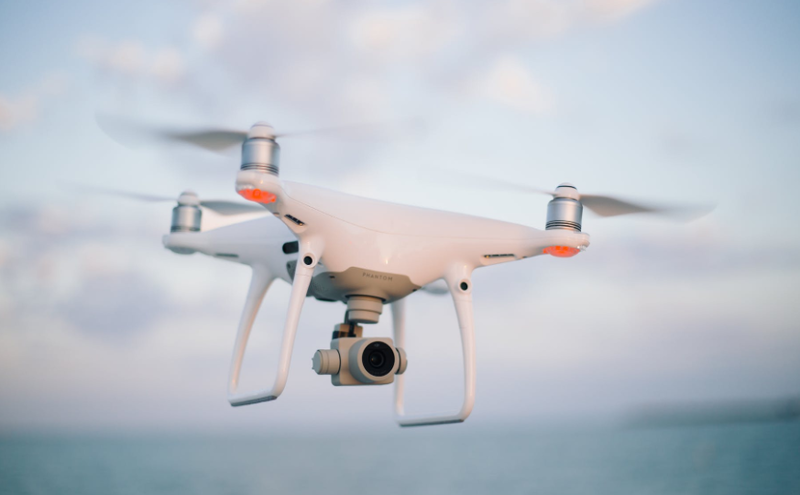 But civil aviation authorities are taking steps to bring drone registration and its drivers under licensing, in that case, the permit system may be relaxed before moving. Within a short time, camera technology dominated the smartphone state. How many cameras will be on the phone and how good they are, competition among smartphone makers is stuck in a matter of years for several years. Five to seven cameras on one phone are not astonishing now. Again, the software vendors of the phone's camera are equally tuned. Who is the best in the cameras of competition? We was just ahead of the market for the camera last year, Google's Pixel 2 model phone was ahead. Pixel's successor, Google Pixel 3, has retained the position this year. It is the best camera phone in the current market with all aspects of the smartphone camera. And it was possible for Google's artificial intelligence camera technology. According to the quantity of space, objects, and light, the phone can automatically adjust the camera's activity. There are a 12.2-megapixel rear camera and two 8 megapixel cameras in front of the phone. It is not always the best thing to do all the time. 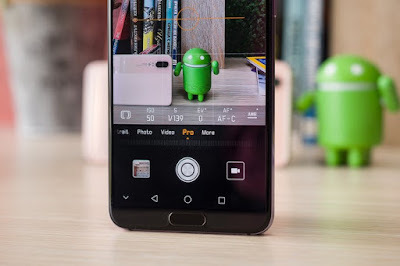 However, an extra camera of Samsung took the phone to the top of the smartphone in the list of three cameras There are 16 megapixel and 12-megapixel cameras. Three cameras have different features. The Samsung Galaxy series, which came out on the tenth anniversary, can also deliver good quality DSLR cameras. The three cameras are able to capture true-depth pictures with the phone. There is a 6.4-inch quad HD plus display. Many of Apple's fans have sweet-foe towards other smartphones. If there are several models in the market to choose the best camera phone in the iPhone, it is the iPhone Tens Max Max. Apple's latest new design iPhone TEN camera was not satisfied with the customers. The phone contained more light than needed in the film. iPhone Tensem Max came out of the market due to the problem. One of the 12 megapixel rear cameras has a telephoto lens. That means when the zoom time is taken in the photo, the lens changes the picture position. And almost a 7-megapixel camera is going to have an amazing cellphone. In the market competition, extinct Nokia has proved that it does not have to spend thousands of dollars on a good camera. A good camera can also be found at the hand. Nokia 7.1 model is still the best camera among middle-priced phones. Three cameras behind this phone are worth $ 350. Two 12 megapixels and a 5 megapixel. An 8-megapixel camera is in front of the 5.8-inch screen phone. Long before the Samsung Galaxy S10, the rival Huawei, bringing the three camera phones to the market. 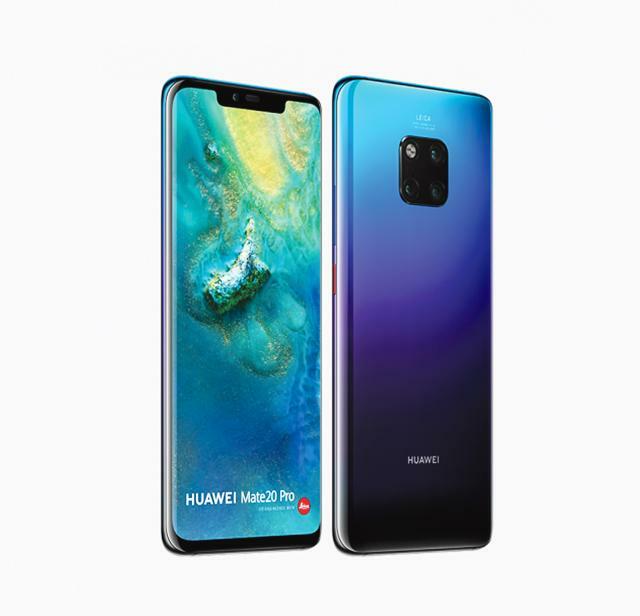 Huawei Matte 20 Pro customer attracts three different types of lenses due to its optical zoom. The back camera has a 40-megapixel main camera, an 8-megapixel telephoto lens camera, and another 20-megapixel ultra-wide lens. And everything has taken everything else to its optical zoom. Samsung Electronics Bangladesh brings the 4th generation of four new models of technology to the country's market. Because of the improved picture quality, they are saying 'Real Four TV'. Samsung and Transcom Electronics officials will unveil the real UHD TV at a press conference in the capital on Monday. At the press conference, the TV viewing experience will improve the TV for the new year. The TV four is the NHD 7470 series. Of these, the price of the 43-inch NU 7470 model is 72 thousand 900 taka. 50-inch price of 1 lakh 14 thousand 900 55 inches 1 lakh 34 thousand 900 rupees and 65 inches of the same model television will cost 2 lakh 9 thousand 900 taka. Buyers will have a cashback facility up to 50 thousand taka through scratchcards. - Four Technology is the highest pixel resolution. The number of pixels resolved in the modern flower HD film is four times higher than that of Fourscore. Four technology is also referred to as UHD (Ultra HD) technology. Khandker Ashik Iqbal, Head of Marketing Communications, Samsung Bangladesh, said at the press conference, "We want to take the lead in the market of TV in the four years in Bangladesh. Now the price of the TV in the country is more. We have brought these models to market at low prices to capture this market. " Managing Director of Transcom Electronics, Arshad Haque, said, "We have assembled our TVs in Bangladesh. These parts have come from Korea or Vietnam. These are Made in Samsung. Improved quality Due to the addition of Bangladesh, we can sell them at a lower price. It is said in the press conference that the real global HD HD TV has gained huge popularity in the future, and such products will be further expanded in future purchasing power. Cinema-makers and streaming service providers worldwide are now making their content sure of the UHD standard. The special feature of each of the TVs in the Real Four of the UHD 7470 series includes the clear transparency of the four-color combination of vivid colors. Smart TV function has been arranged for excellent content management. 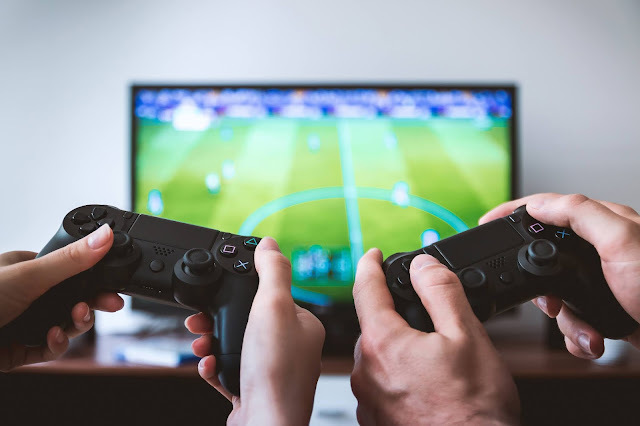 With one remote control, other devices and content connected to the TV can be controlled easily. Along with the smartphones app, it is possible to share the contents of the smartphone with the smartphone. Clean or clean cable solutions enhance the design of the TV. The 2018 FIFA World Cup are the twenty first FIFA World Cup, a quadrennial worldwide soccer contention tested by the men’s national gatherings of the half relationship of FIFA. it's wished to happen in Russia from fourteen June to fifteen Gregorian calendar month 2018, when the country was conceded the encouraging rights on two Dec 2010. this can be the principle World Cup control in Europe since 2006; everything apart from one amongst the structure scenes ar in Russia, west of the Ural Mountains to stay period smart.The last contention can incorporate thirty two national gatherings, that fuse thirty one bunches selected through qualifying contentions and also the thus qualified host gathering. Of the thirty two gatherings, twenty can seem following the last kind of the opposition in 2014, as well as securing champions Germany, and Brazil the basic gathering to understand all discharges, whereas Iceland and Panama can each seem at a FIFA World Cup. an entire of sixty four matches are compete in twelve settings organized in eleven urban territories. The keep going can happen on fifteen Gregorian calendar month in national capital at the Luzhniki structure. The champs of the globe Cup can meet all requirements for the 2021 FIFA Confederations Cup.The providing methodology to possess the 2018 and 2022 FIFA World Cups began in Jan 2009, and national affiliations had till two February 2009 to enlist their superiority. At initial, 9 countries set offers for the 2018 FIFA World Cup, but Mexico later force over from ways, and Indonesia’s offered was rejected by FIFA in February 2010 when the Indonesian government fail to indicate a letter to assist the bid.During the providing technique, the 3 leftover non-UEFA nations (Australia, Japan, and also the United States) well ordered force another time from the 2018 offers, and also the UEFA nations were during this manner blocked of the 2022 supply. therein limit, there have been over the long run four offers for the 2018 FIFA World Cup: England, Russia, Netherlands/Belgium, and Portugal/Spain. Chinese company Huawei has been on a streak within the past few years by commercialism uncountable phones and quickly grew to become the world’s third-largest phone maker, behind Apple and Samsung. the corporate planned a loud U.S.A. debut in early 2018 and was on the verge of launching its flagship phones on AT&T and Verizon Wireless, however, lawmakers intervened and also the deal fell apart within the moment. The reason? 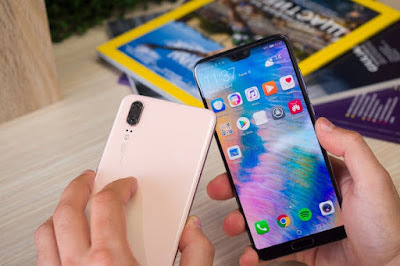 U.S.A. politicians say Huawei is “effectively Associate in the Nursing arm of the (Speakbd.com) Chinese government” and also the heads of the FBI, Central Intelligence Agency and United States intelligence agency have suggested folks to not use Huawei phones. Huawei, on the opposite hand, denies those allegations and says that U.S.A. customers square measure those missing out. With all this in mind, it’s no marvel that the company’s new Huawei P20 and P20 professional won't be sold-out in us. Still, those are going to be the company’s most vital phones in 2018. whereas each square measure flagship-grade devices, the Huawei P20 professional is that the really exciting phone: one claiming to possess the simplest camera ever placed on a phone, an excellent battery life and a great-looking OLED show. are thus square measure U.S.A. customers extremely missing out? And square measure the new Huawei P20 series nearly as good as Associate in Nursing iPhone, a Samsung Galaxy or a Google Pixel? Let’s resolve. What is the Huawei P20 Pro? The Huawei P20 professional is Chinese manufacturer Huawei’s latest flagship smartphone. It brings a much-anticipated new feature to the table – a tri-camera – however, that isn’t the handset’s solely party trick. It’s additionally equipped with a top-of-the-line processor, 6GB of RAM, 128GB of internal storage in addition and a sizeable battery. The Huawei P20 is that the staple of the all-new P20 vary, sitting below the tri-camera-toting P20 professional and higher than the budget P20 low-cal. however do not let its middling position deter you; the Huawei P20 remains an incredible smartphone that is value your hard-earned money, although it is not being marketed because the company's flagship. There’s a collection of stereo speakers on rock bottom of the Huawei P20 professional, located either aspect of the USB-C slot – and that they sound smart, delivering clear and made audio at even the loudest of volumes. perceptibly missing may be a three.5mm earphone port – one thing in-tuned in mind if you’re not a follower of Bluetooth or adapters. You’ll notice the amount rocker and power button on the correct of the handset’s frame, each of that square measure made from low-cost plastic. Pressing either of the keys not solely feels tacky – the iPhone X, for comparison, includes a set of weighted howevertons – but additionally sends Associate in Nursing ear-wrenching sound on a unidirectional trip to your ear canals. Up front, you have got the fingerprint scanner right below the screen on each phone. 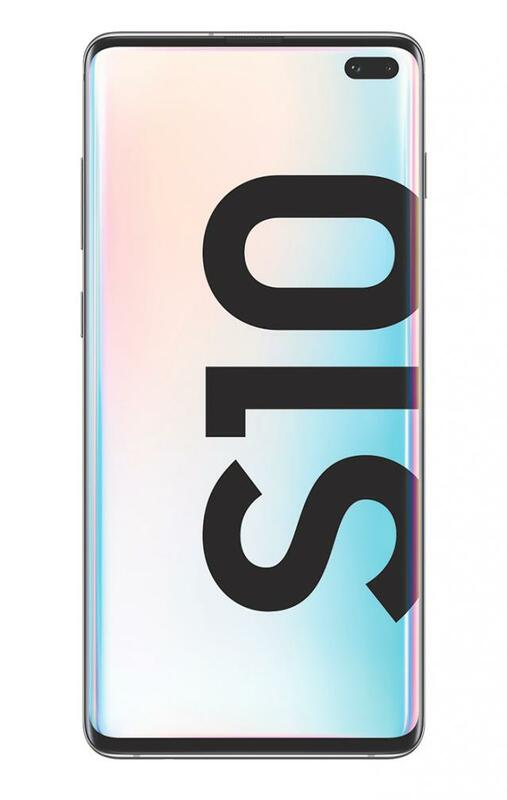 It’s a trifle of a stretch reaching it once it’s up to now down, however, it’s still convenient to possess the fingerprint scanner on the front as you'll be able to unlock your phone once it’s birth flat on a table. The fingerprint recognition happens nearly instantly and with simply a faucet you unlock the phone. By default, the 2 phones keep company with on-screen navigation buttons, however if you would like to use the total screen, you'll be able to choose to use fingerprint scanner gestures: faucet once to travel back, hold it right down to head to the house screen, swipe sideways to travel into multitasking card-view. In reality, we discover these gestures to be a trifle frustrating, particularly the multitasking gestures that always won't work properly and you'll attempt a couple of times to urge it to figure. 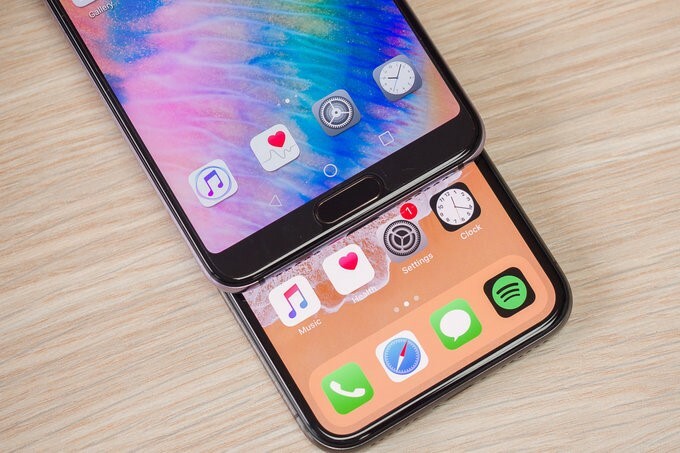 The third navigation possibility may be paying homage to one thing that’s accessible within the iPhone X: Huawei introduces a virtual line, considerably just like the iPhone X swipe indicator, and you'll be able to use swipe gestures thereupon line, but again, we tend to found them too random as we tend to couldn't get them to figure faithfully all of the time. In terms of security, you furthermore may have face identification that you just will use aboard fingerprint recognition. 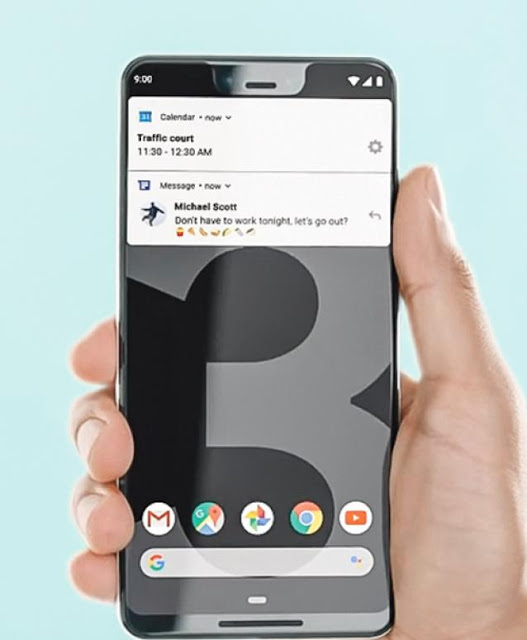 it's imposingly fast once it works and it largely works throughout the day, however, detain mind that it doesn't have any advanced 3D mapping technology just like the iPhone X, and is a smaller amount secure. For the higher expertise, you must use Fingerprint and face detection options as a result of It’s smart. 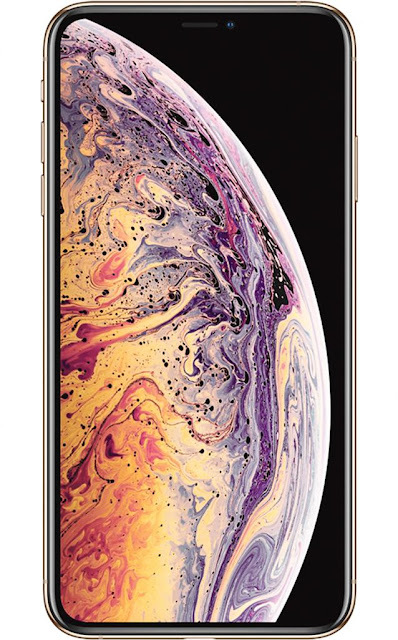 i) iPhone X One key distinction between the P20 and also the P20 professional is within the screen technology they use: whereas each have constant Full HQ+ resolution, the P20 options a five.8-inch alphanumeric display screen, whereas the P20 professional contains a half-dozen.1-inch OLED show with lush colours and deeper blacks. examination the 2 facet by facet, you'll see this difference: everything seems a lot of spirited, a lot of saturated and catchy on the P20 professional. 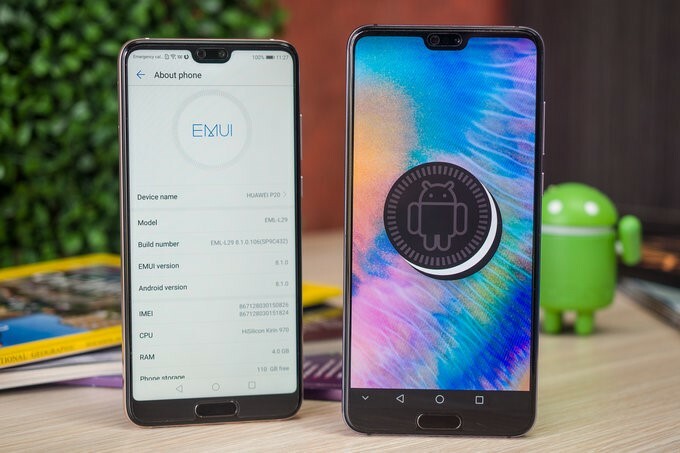 Although, extra options embrace a blue diffusing screen that's helpful if you utilize your phone at midnight, and additionally a couple of custom color customization settings for people who wish manual management. you furthermore mght have a “natural tone” choice that may change the white balance of the screen to the close lighting, very like Apple’s True Tone setting. And for people who don’t just like the notch and notice it annoying, there's the hide notch choice in show settings that essentially makes the horns or ears round the notch go black, thus you've got a a lot of ancient screen expertise. 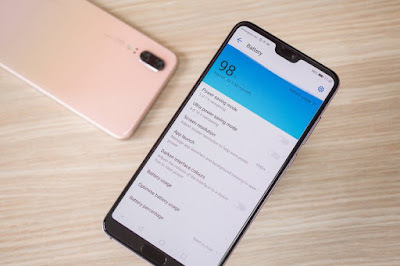 Android interface EMUI, short for feeling interface, and you've got EMUI eight.1, the most recent version, on prime of humanoid eight.1 cooky with the P20 and P20 professional. WhatsApp et al., its own “file safe” secure folder-like feature wherever you'll hide apps and photos, and far a lot of. But then, there's additionally the dangerous. There is no going round the proven fact that EMUI rips off iOS in some too-obvious ways: from the tiniest things just like the icons (Huawei simply had to form the same dialer icon, the music icon simply had to be nearly constant because the one on iOS, the settings icon and on, and on…) to tearing off whole apps just like the weather app that follows iOS’ weather app to a tee. The rounded parallelogram for notifications, the camera interface with the slippy camera modes, constant folder styling, the nearly identical clock app, and even the wallpapers… it’s all a shameful, obvious, impudent copy of what Apple has done. It’s dangerous style and it shows a disturbing lack of original thought. This aside, in sensible terms EMUI runs fairly sleek within the daily grind and also the smoothness is clear if you compare it to a phone just like the Galaxy S9, that still stutters means too typically for a 2018 flagship. However, we tend to got kicked dead set the house screen as a couple of times apps would force shut and it appears that Huawei still must do some further add terms of the soundness of apps. Huawei’s own chip and a welcome, 128GB of onboard storage. The P20 series run on Huawei’s own Kirin 970 chip. Well, approximately as quick because of the flower 845, however not too so much behind either. The P20 series support 4G LTE property with a lot of bands, therefore chances are high that you just are ready to use the phone once you travel internationally. While the phones don't seem to be formally oversubscribed within u. s., the P20 family can work with GSM carriers AT&T and T-Mobile within the States, however, isn't compatible with Verizon Wireless or Sprint. So you'll be able to have 2 completely different numbers active at the constant time, helpful for those that have a separate work phone and don’t wish the difficulty of coping with a burner phone. different property choices embrace the GPS positioning system, additionally as support for the Chinese Baidu and Russian Glonass. there's additionally dual-channel Wi-Fi and Bluetooth four.2, additionally as support for NFC. the large ballyhoo around the P20 professional contains a heap to try to with its triple camera system: a 40-megapixel main shooter, in addition to a 20-megapixel black-and-white sensing element and a 3rd, 8-megapixel photo camera. The P20 contains a diminished camera system, with a twin cam system, wherever the most camera is the 12-megapixel shooter, whereas the second one is a uniform 20-megapixel B&W sensing element, however, there's no photo camera. you have got a unique cutoff to travel to the camera here: rather than double-clicking the ability button, you double press the quantity down key to enter the camera. The camera app itself has modified and currently options a slider with completely different shooting modes, a bit like on the… you guessed it, iPhones! then again, the shutter sound, once you take an image, reminds of a Leica camera. The app itself contains a retro look and feel, and offers the subsequent modes: you have got the quality ikon mode, then a portrait mode, an evening mode wherever the phone takes many shots and combines all of them into one brighter and a lot of elaborate images, associate aperture mode wherever you'll be able to unnaturally simulate completely different aperture settings; then video mode, the professional model and many others hidden beneath a lot of. How do photos really look, though? And is that this very the most effective phone camera ever? we have a tendency to took a bunch of photos with the P20 professional and compared it to the 3 best camera phones out there: the iPhone X, the Galaxy S9+ and therefore the component a pair of XL, and here is what we have a tendency to noticed . Most of the time, the P20 professional produces the photos with the most effective, most plentiful and sharpest detail of all of them. And once it involves the zoom practicality, you have got 3x zoom and a 5x zoom cutoff, and you'll get some very spectacular, sharp shots after you rivet, the distinction is admittedly noticeable and therefore the P20 professional is especially others during this space. However, if you simply compare photos we have a tendency to took throughout the day, the P20 professional incorporates a terribly peculiar look: it's abundant colder colours than the others, and it usually tends to underexpose photos and at an equivalent time, typically it goes berserk with vastly oversaturated colours. The P20 series use a twin electro-acoustic transducer like the one on the recent iPhones: you have got audio separated into 2 channels, one returning from the bottom-firing speaker wherever you have got the full vary of sound, and an additional returning from the headphone at the highest that acts as a speaker system with higher-pitched sound. The speakers do so get lots loud and therefore the quality is extremely sensible. this is often one among the trends in 2018: nice electro-acoustic transducer quality and therefore the P20 professional positively lives up to the expectations here. Once again, let’s mention that there's no electro-acoustic transducer jack on board and you'll hear audio via USB-C headphones (basic ones square measure enclosed within the box) or with wireless headphones. Outstanding battery life, but no wireless charging system available here. You get a 3,400mAh battery on the P20 and a massive, 4,000mAh battery on the P20 Pro. Unfortunately, You may disturb, there is an issue with these two phones that prevented us from running our standard battery test: there is no way to manually set the brightness to a fixed position. While you do have manual brightness options, it does not seem to work, and the phones would just keep automatically varying the brightness level. For our test (and for any other reliable battery comparison), it is required that the phones that are tested stay at the same brightness level as this has a crucial effect on battery life. The two phones do come with rather larger quick chargers in the box and with a USB-A to USB-C cables that you use to charge them. Unfortunately, there is no support for wireless charging. 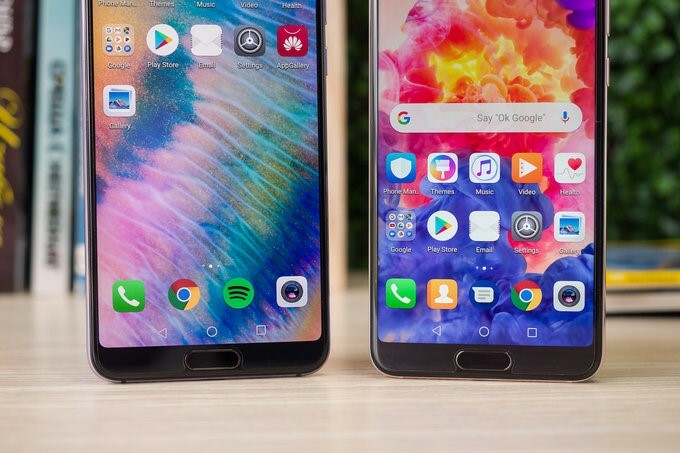 Huawei – currently the world’s third-largest phone maker – appears to be driven not by its own original concepts, however by in many ways repeating what Apple will. 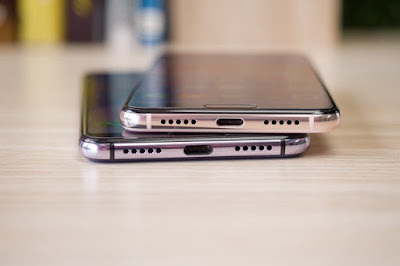 It’s simply that obvious however the P20 series copies the iPhone X: the notch, with its identical form and kind, the style styling with the glass-metal look, a vertical camera on the rear, the arciform metal sides that are currently shiny similarly, the trained holes for the microphones, so even very little things just like the icons . We will persist and on: the identical dialer button, the clock icon, the weather app icon, then again additionally within the weather app, the individual style of the app that's simply a heist of the one on the iPhone and even has identical animations, the settings icon! identical folder read, the rounded rectangles for notifications, the heist case icon… it’s everything! And affirmative, it’s okay to induce impressed by nice concepts, however, such blatant repeating shows nothing, however, a fantastic lack of original thought and nice impudence. It’s excessive, absurd. So yes, the Huawei P20 and particularly the P20 professional are the most effective phones that Huawei has created thus far, however it’s exhausting to urge galvanized by a robbery and therefore the P20 series are in some ways simply that. 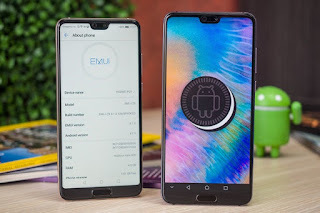 In sensible terms, the EMUI remains the a part of the Huawei expertise that continues to be behind with its dated appearance, some glitches, and strange practical call and by however completely different it's from stock mechanical man. 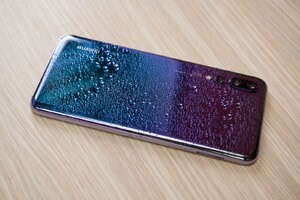 Its €900 worth = a thousand Dollars(91000 Bangladeshi monetary unit Bangladesh) is on par with the Galaxy S9 and and it’s still cheaper than the iPhone X, however unless you actually crave this phone, history shows that Huawei flagship phone costs drop not too long when the launch, therefore it'd be knowing wait out a month just about for higher deals. 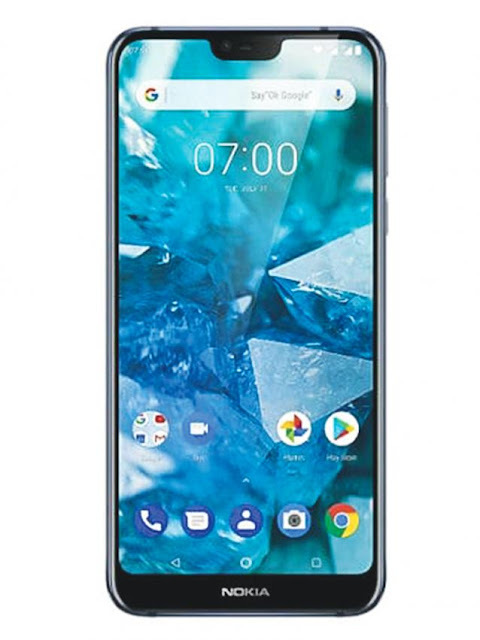 All of that's a shame as a result of the P20 professional particularly is in many ways associate exciting phone: it brings back to life the 40-megapixel PureView technology of Nokia fame it's an excellent battery life and a well-favored show. 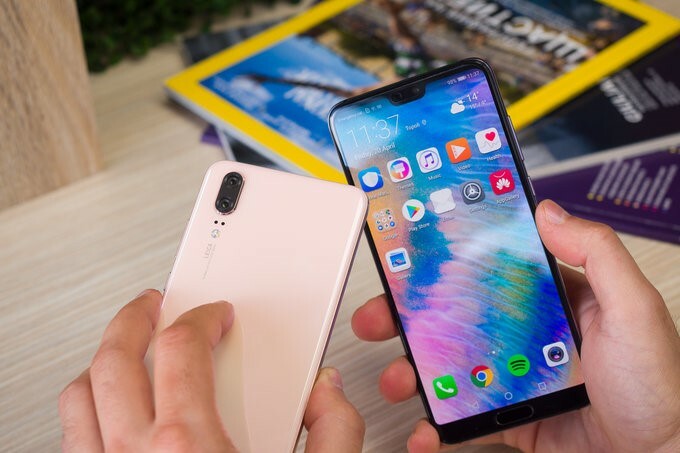 It’s conjointly a shame as a result of Huawei really tested it will create an imaginative style that appears nice with the Mate ten professional, then again it determined to simply copy the iPhone. As 2015 comes to a close, it's been hard not to notice how an increasing number of friends and colleagues are moving towards the freelancing model. People are simply more comfortable being their own boss these days, even if it means a bit more uncertainty than they might have at a full-time position. As of October 2015, 54 million people in the US alone have done freelance work in the past year. That's roughly 34 percent of the entire US workforce. With so many freelancers doing work in the US and around the world, a freelance marketplace has evolved. Employers are the demand, freelancers the supply. 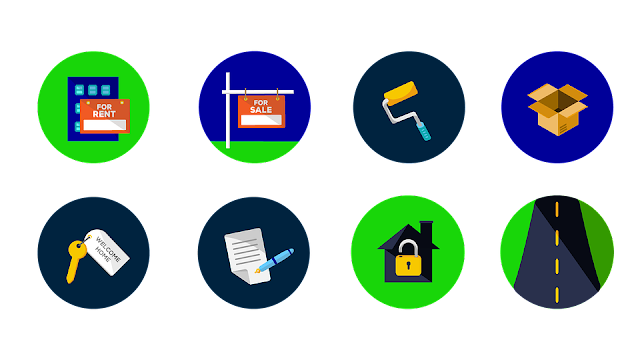 Several job sites have risen to connect the buyers and sellers in this market for a profit by providing a streamlined platform that removes many of the complications of freelancing. If you're going to make the transition to freelancing in 2016, you'll need to know some of the biggest players in the market. Here are ten of them. This is one of the most well-known and widely-used sites out there right now. Toptal connects clients with a network of freelance developers and designers from more than 90 countries around the world. The service only works on technical projects, but Toptal does those well. The company rigorously screens its freelancers for personality, English-speaking, technical knowledge and skill. Ultimately, only 3 percent of applicants are accepted into Toptal's network. This service offers account teams to help clients find the best match. Interestingly, they are also an entirely remote company and don't have an office anywhere in the world. Go figure. Upwork is the giant of the freelance industry and is the largest network by a long stretch. Formed out of the merger of two large freelance job sites, oDesk and Elance, Upwork currently has 9 million freelancers in its network and 1.5 million clients. The service covers a wide range of freelance jobs that can be done remotely, including everything from virtual assistants to paralegal work. Upwork offers hourly and fixed price projects, but they provide no vetting or screening for clients. Instead, they leave the interview process and technical assessment to the clients, who can then bid on the freelancers they want to hire. I've had friends who've been using this one for years here in the Bay Area, it's based in Oakland, and Tim Ferris mentions them all the time on his podcast, so I can't escape this company. 99Designs is exclusively for designers, but it puts a cool spin on the freelance platform. Rather than let clients scroll through freelance profiles, clients crowdsource their projects. Clients first fill out a brief detailing their project, and then designers can submit work based on that brief. Clients pick the best submission, and the winning designer gets the money. If they so choose, clients can then continue to work with that designer to design a fully-fledged version of what they did for the contest. 99Designs has over a million designers in its network and has completed over $100 million in transactions between clients and designers, so the unusual business model is clearly working well for the company. FlexJobs stands out as a freelance job site by vetting jobs, not freelancers. Instead, freelancers are the ones who pay for the platform. In return, FlexJobs provides a list of jobs, currently just under 30,000 in number, that the platform has vetted as legitimate. Freelancers can then apply to those jobs through the contact information provided by FlexJobs. The service also provides skill testing, job search tips, and special members-only discounts through site partners to create loyalty among its freelance network and provide them added benefits. Since its inception in 2001, Guru has completed 1 million jobs and received $200 million in payout. Today, Guru has 1.5 million freelancers on its platform. In order to look through such a large number of freelancers effectively, clients can look through freelancer portfolios that include previous earnings and client reviews as well as skills and experience. Freelancers, in turn, can get an idea of whether a client's job is viable by looking at how much they have spent on freelancers in the past. A self-described "marketplace for on-demand workers," Crowded aims to fix the supply and demand problem with freelance job opportunities: how do freelancers find job opportunities, and where do companies hire effective freelancers? Crowded pulls freelance job postings from several on-demand platforms and makes them available to its network of freelancers. The company was just founded in 2015, and even with its soft launch, the platform already has over 11,000 freelancers and 400 platform partners. Don't be surprised if this freelance site becomes much bigger in 2016, just based on the growth we've seen so far. Freelancer boasts 17 million registered users, but not all of them are active. Regardless, what separates it from other job sites is its competitive edge. Freelancer regularly hosts contests in which employers post a project with a money prize, and freelancers bid on the project with their submissions. This serves as a way for freelancers to showcase their talent and hone their skills and makes the hiring process easier for employers as they can see different takes on their project. It should be noted that this process may not be very conducive to people just trying out freelancing or who are unsure of their skills. PeoplePerHour is a freelance site for all skills related to web projects, including web developers, designers, and SEO experts and marketers. Aiming to be a one-stop shop, PeoplePerHour wants to make your web building experience as streamlined as possible through their platform. To simplify the process, even more, PeoplePerHour offers a tool called WorkStream, in which management, payment, and communication between employers and freelancers are all handled in one location. Simply Hired has a wider range than most freelance job sites because this particular website isn't focused on freelance work only. It's a job directory, offering 6 million jobs in 974 occupations through 700 thousand unique employers in 24 different countries. The site has a large following, supporting 30 million unique monthly visitors and in a year those visitors make roughly one billion searches. While not exclusively for freelance work, Simply Hired is simply too big to be ignored by this list. Behance isn't normally thought of as a hiring platform, as it is also a showcase platform for designers, but it is quite an effective site for hiring those designers. Not only can clients look through designers' portfolios and see examples of their work, but clients can see how other people have reacted to that work as well. Clients pay a fee to post jobs on the site, but in return, they get custom hiring recommendations for their project as well as access to Behance's network of 5 million creatives. This is a very active network that isn't leaving the freelance market any time soon. I suspect we will be seeing more remote working as well as freelancing, not only next year, but in the years to come. Keep an eye on these sites as they vie for control of the freelance marketplace, and use them to fulfill your freelance hiring needs. সাংবাদিক হতে হলে br /> সাংবাদিক হলে যেসব গুণ থাকা দরকার br /> ১. সিদ্ধান্ত ২. 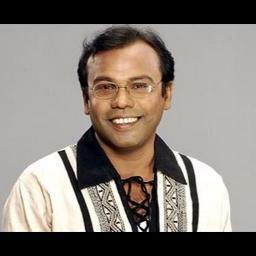 সততা ৩. ব্যক্তিত্ব ৪. ব্যবহার ৫. সাহসিকতা ৬. বস্তুনিষ্ঠতা ৭. সাংবাদিক হতে শিক্ষাগত যোগ্যতা : ১. Bank Asia Limited, the fastest growing commercial bank in the private sector of Bangladesh is looking for young, energetic and self-motivated persons for the following position of Cottage, Micro and Small Enterprise Department who are willing to take challenge and interested to work anywhere in Bangladesh for expediting the business growth though our Agent outlet / Branch channel. Must be proactive, self-motivated, target-oriented, able to work under pressure, must be a team member, having ability to meet deadlines, art of persuasion, art of marketing, usual knowledge of market. Prospective candidates are invited to submit applications along with updated CV and a copy of recent Passport size photograph to the following web link http://www.bankasia-bd.com/career/. Special Note: The candidates not willing to work outside metropolitan city area is highly discouraged to apply. Only Short-listed candidates will be called for a written aptitude test and subsequent interview. Bank Asia reserves the right to accept or reject any application without assigning any reason whatsoever. Innovative Review like Latest and Modern Technology, New Smartphones and Features, Gadget, Laptops, Smart Chips and so on.